It arrives in a cute compact box….. When you take it out of the box you can see the shape of it straight away… the fact that it’s in one piece really appealed to me… I wanted something easy! 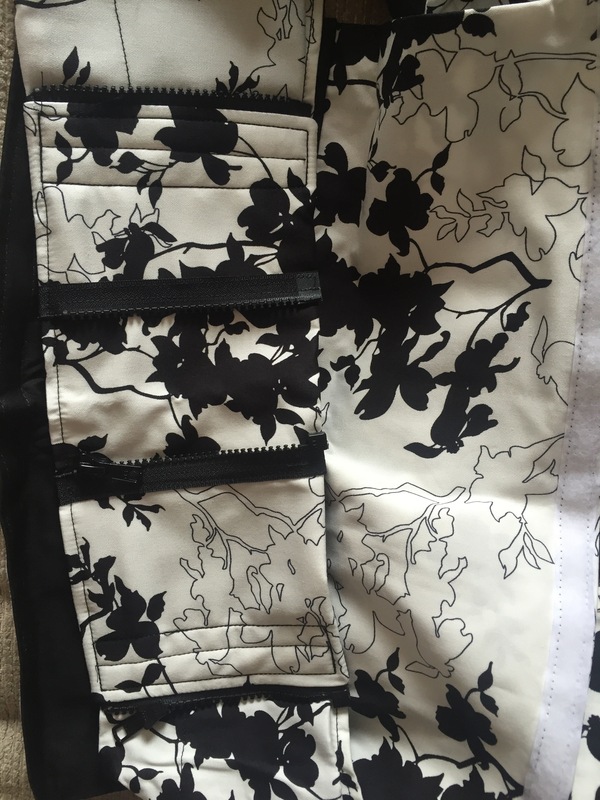 This bit is the only part you might want to/need to adjust – zips on the back panel to make it tighter/looser. 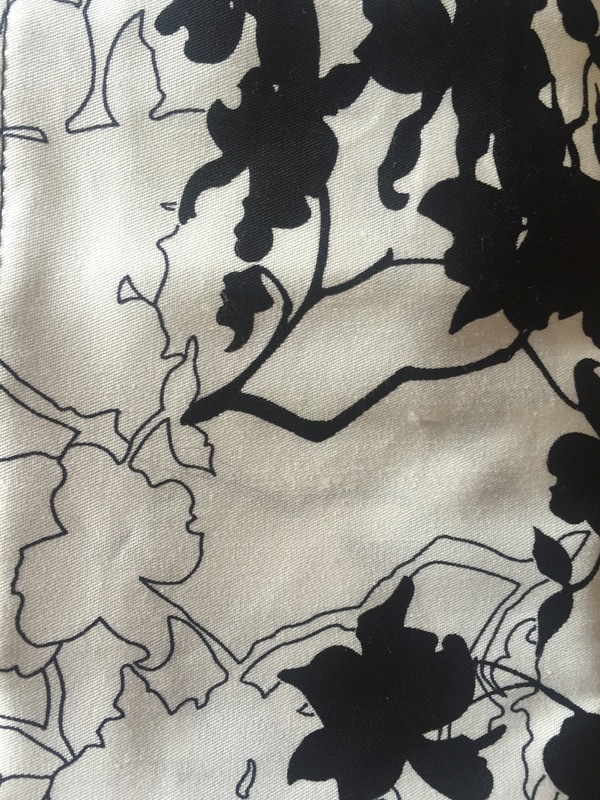 The pouch comes with full instructions, but as a total newbie I found their YouTube videos the most helpful. So when it came to trying it out, i popped it over my head, adjusted it a bit, popped baby S in it and kinda wiggled a bit to get him into position. 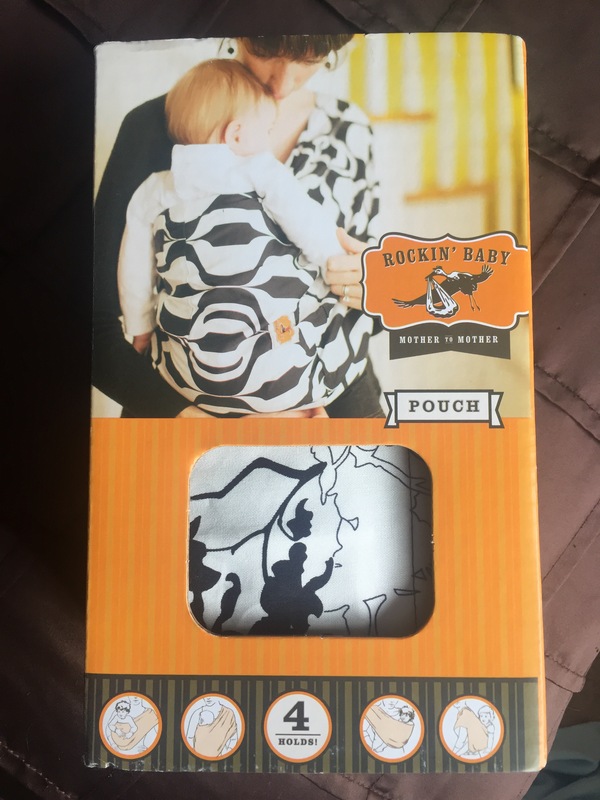 Even though the pouch is really easy to use, the first couple of times I tried it, S didn’t like it at all and I had to take him out. I think that reflects more on S than the pouch – he was hard work in those first few months! I finally had a breakthrough the day of his second jabs where nothing was settling him. I popped him in the pouch and he fell asleep straight away! Bliss! I used it a few more times with him when he was grouchy which is when he liked the pouch the most. I didn’t venture out with it but then I didn’t venture far with him back then! Before I knew it he’d outgrown it but it was a great introduction to babywearing as once it was too small I headed to our local sling library and borrowed a Connecta which Ive subsequently bought! In the newborn haze I didn’t get many decent photos of him in it, this one’s not great but it’s my fave… and I will always have happy memories of the calm of this pouch when S was at his grouchiest! 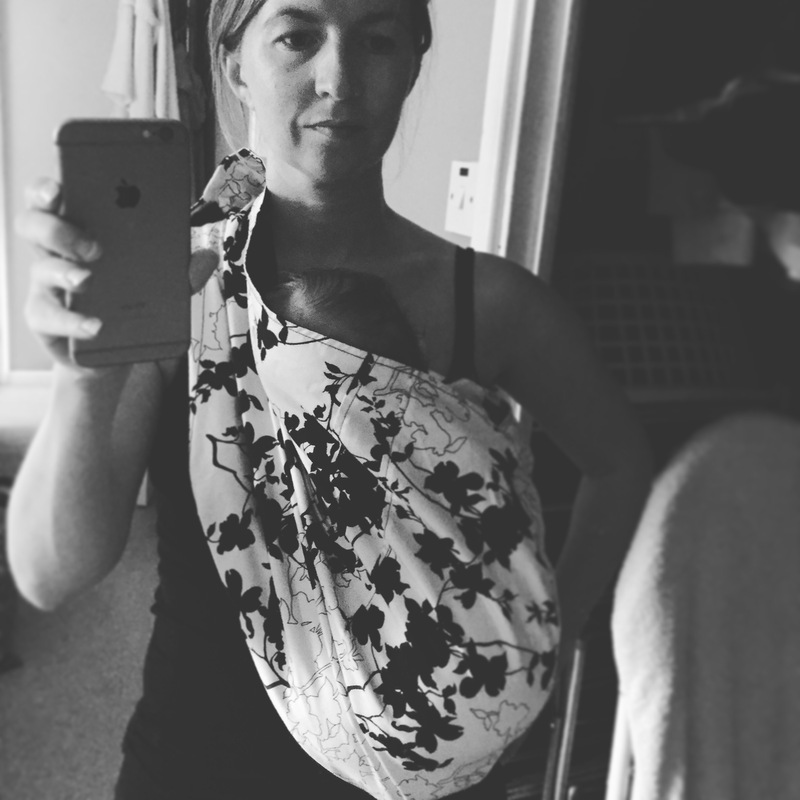 So even though we didn’t use it as much as I’d hoped, the pouch was really useful for me and gave me some much-needed confidence in wearing him especially as I had struggles with breastfeeding him… this gave me an alternative way of bonding with him. It’s high quality, good value at £49 and very easy to use which makes it a great route into babywearing! Rockin’ Baby also sell ring slings which are also supposed to be great for babywearing newborns. And if you needed any more reasons to buy it, you should know that for every pouch/sling they sell, they donate one to mothers in Kenya and Haiti. I love this idea, it’s great to see a business really investing in social responsibility. Did you try babywearing? How did you find it? Does this pouch appeal to you?! Disclosure: I was given this pouch in exchange for an honest review. Aw I love a bit of baby wearing. It makes me sad that my youngest is getting too heavy for it! Enjoy! I never baby wore any of my three children. I really wanted to with my last child, however, a shoulder injury prevented me from doing so. S looks so snuggly in your photo, I bet it was lovely to have baby so close. I love the look of this one, it takes me back to when I was carrying my little ones against me, aahhh. I like the shape of it and how it curves around. I bought a stretchy and a connecta, a lillebaby and a littlelife back pack. None of which I used very much of as my body always hurt too much. Hoping I’ll be fitter and stronger if I have another baby so I can try these. This looks beautiful, but I was never really a fan of pouch slings, I have a ring sling I use at times around the house, but I do better with one’s which distribute the weight evenly. I love stretchies for newborns and Semi-structured carriers like Manduca or Ergo for 6 months plus. I really like the look of this one. I personally didn’t do baby wearing but a couple of my really close friends did and they commented on how much they loved it! I must admit it did seem to make their lives a little easier having two free hands!